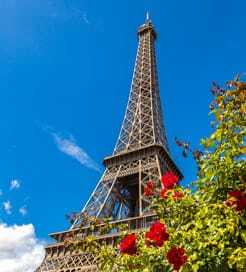 France has been one of the world’s most popular, if not the most popular tourist destination for many years. One of the most diverse destinations you’ll come across, with its iconic monuments, stunningly beautiful cities, magnificent castles, idyllic countryside, glorious beaches and arguably some of the best restaurants and the finest wines you’re likely to experience, France really does have something for everyone. Whether you’re getting on a ferry to France for a relaxing beach holiday, city break, camping or outdoor holiday, wine tasting or something else entirely, travelling by ferry to France has never been easier, irrespective of your country or place of departure. With thousands of miles of coastline and a relatively central position in Western Europe, the UK and Ireland above, Spain to the south west, the islands of the Mediterranean and North African countries of Algeria, Morocco and Tunisia below, it is no surprise that France is such a popular destination for the ferry traveller and so well served by Europe’s biggest ferry companies and the most modern ferries in operation. The French ferry ports are well connected to the motorway network which makes France an ideal gateway for onward travel to other countries and islands across Europe. For more information, please visit our Ferries from Mallorca to France page. For more information, please visit our Ferries from Alderney to France page. For more information, please visit our Ferries from Sardinia to France page. For more information, please visit our Ferries from Guernsey to France page. For more information, please visit our Ferries from Jersey to France page. For more information, please visit our Ferries from Sicily to France page. For more information, please visit our Ferries from Tunisia to France page.